Gary Bizzo Interview – Start a Successful Business the First Time! In this episode we interview Gary Bizzo, an entrepreneur, mentor, and author. Gary shares his interesting and diverse background, and his experiences, tips and advice on how to start a successful business the first time. Gary is an entrepreneur, mentor, author, business consultant & coach, who helps other entrepreneurs on all aspects of their business. He is the CEO of the Bizzo Management Group. He is also a social media “Agent of Change”, helping entrepreneurs leverage social media to grow their businesses. Gary is also a business writer, business author, startup specialist and blogger. 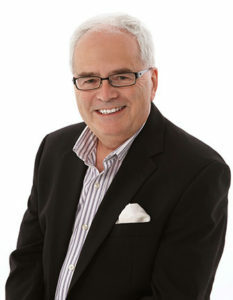 Gary has coached or mentored over a 1000 businesses and has consulted with numerous multinationals. His latest book is “How to Start a Successful Business- the First Time“, available now on Amazon. He lives in Vancouver, British Columbia, Canada. One of his first jobs was a parole officer (a position he later returned to), and he studied Criminology in college. Selling aircraft, and then selling arms! Gary shares interesting stories from his background. Gary shares his views on how to start a successful small business the first time. He also shares tips & techniques on social media for small businesses. Ask others for their opinions on your business idea. But be selective about who you ask. Gary shares the influence that Michael Gerber, and his book the E-Myth, has had on his entrepreneurial thinking. Why is Time Management so important for a small business owner? You have to plan and have the resources in place before you start your business.